It has been somewhere close to thirty years, that Infiniti entered the automotive world. Since then they have commendably made the space by presenting numerous models. 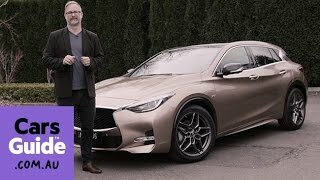 One of them is the Q30 and keeping the legacy intact, they recently took the curtains off its all new Infiniti Q30 2016 at the 2015 Frankfurt Motor Show. The model features a unique style that will undoubtedly take it a lap ahead in the competition. 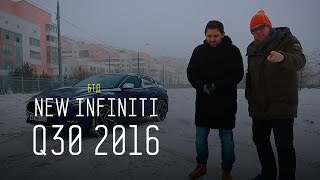 Let us have a look at the review of Infiniti Q30 2016 to know in detail about it. The interior of Infiniti Q30 2016 features premium looks. The use of soft touch materials over door trim and arm rests and the prestigious Dinamica over roofline and pillars add commendably to the arena while the chrome trimmed vents and center stack further join them impeccably. The redesigned seats will provide you utmost comfort through the support and curve they come with. Buyers also get an option to have the sports seats with eight-way adjustability and power lumbar support. Talking about the infotainment system, model comes with the company’s InTouch system and has Active Noise Cancellation technology that will give you the serenity you need for a harmonious ride. 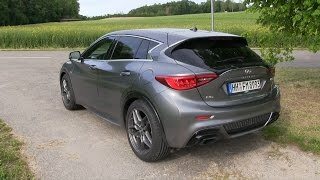 Thus rounding up the interior details of Infiniti Q30 2016 all I can say is that the model is luxurious and comfortable. 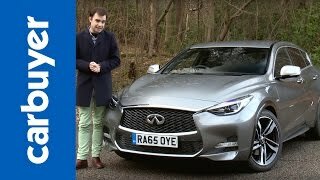 The exterior of Infiniti Q30 2016 takes the clues from the Q30 Concept that came around two years back. Starting with the front fascia we have the double arch grille while the hood line features double-wave effect stretching all through and getting further complemented by the 3D-effect mesh. However they did changed few things and this includes the bumper, aggressive headlights and the side skirts. Moving towards the rear fascia the satin chrome plated trim and the black lacquer trim around the wheel arches will steal your heart. Thus rounding up the exterior details I’ll say that apart from these few changes, the model primarily carries over the design cues from the concept itself. Powering the Infiniti Q30 2016 are five engine options, including three petrol and two diesel engines. The former includes two 1.6 liter engines cranking 120 hp and 154 hp and peak torque of 200 nm and 250 nm respectively. Third is a 2.0 liter engine generating total output of 207 hp and peak torque of 350 nm. Getting to the diesel powertrains we have a 1.5 liter engine and a 2.2 liter unit producing total output of 107 hp and 167 hp and peak torque of 260 nm and 350 nm respectively. All the engine mate to the seven-speed dual clutch transmission or six-speed manual. 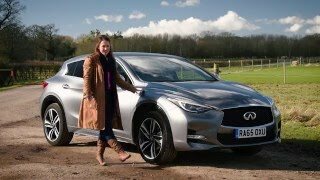 The performance figures of Infiniti Q30 2016 are still not shared.